Santa Barbara wine country is 45 north of the city of Santa Barbara. We list the best lodging in Santa Barbara wine country. There are three very quaint towns in the center of the Santa Barbara wine country. Los Olivos, Solvang, and Santa Ynez each has its own unique character. Solvang is the largest town and is an authentic Danish village. 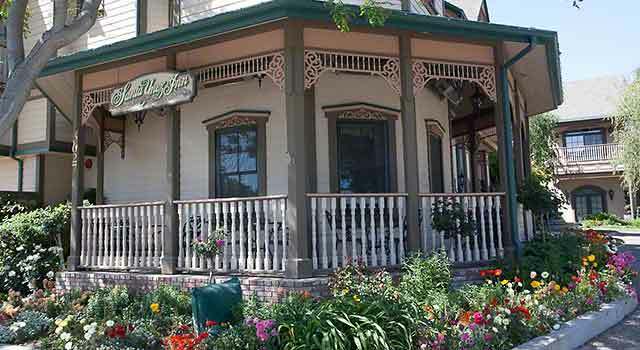 Santa Ynez has the new and beautiful Santa Ynez Inn. Los Olivos is a charming town with a two-block main street amd tasting room row. This is our list of recommended wine lodging. Please note that the city of Santa Barbara is about an hour south of the Santa Barbara wine country. You can also find lodging in the city of Santa Barbara but if you are here to explore the wine country it is best to stay in one of these local towns. There are many more lodging choices in the city of Santa Barbara that is about one hour away from the Santa Barbara wine country. It all depends on your purpose for visiting the area. If it is for winery visits it will be more convenient to find lodging in the wine country area of Solvang, Sant Ynez, and Los Olivos. There are many wineries near these towns.